Using Twitter for experimental writing. Some of the text written on Poemita makes its way to different projects. A project developed with similar random brief statements is [Re]Cuts. Selected projects remixing poemita tweets appear below. This book is a critical and theoretical reflection on networked communication, developed with repurposed tweets posted between 2010 and 2014. For more information on the creative process behind the Force Layout Poems, read the corresponding entry on Remix Data. Below are selected visualizations made with Many Eyes and Voyant, which help evaluate the relation of words among tweets from the time period specified. The visualizations are used to assess the creative process for potential enhancement of vocabulary and method of writing. Selected tweets are remixed into aphorisms and poems which will eventually become public. For a detailed explanation of the writing process read the corresponding entry on Remix Data. Visualization detail of how the word "thought" is used in tweets for 2010-2013. It functions as a spatio-conceptual map of tweets over time. (This feature is no longer available with many eyes.) For more details see Remix Data. Graph of selected data-mined tweets from January 10, 2010 to October 15, 2013. 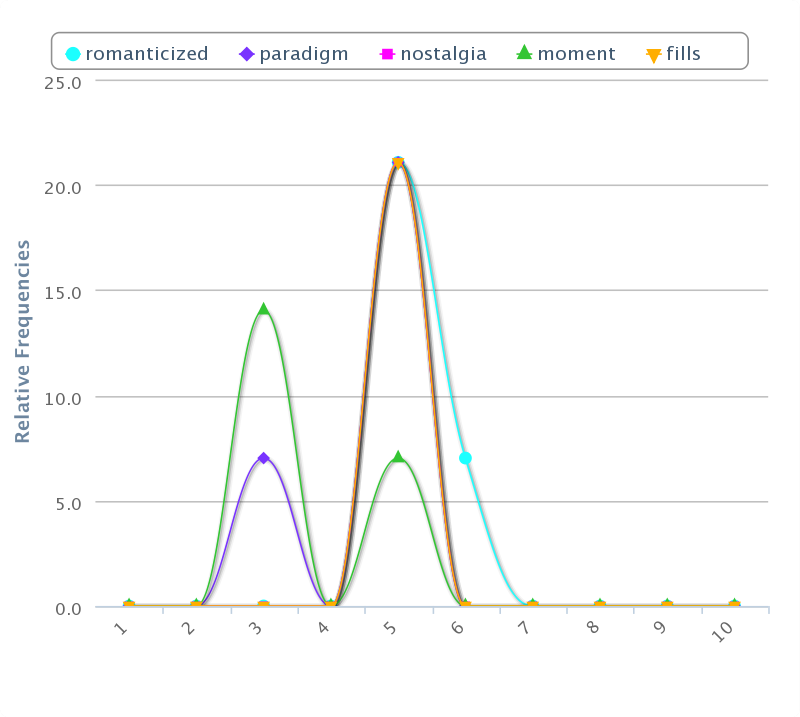 For an explanation of the process of analysis, see Remix Data.